Are Volunteer Fire Departments the new Political Football? Yearly local fire departments and first responders all across the nation apply for federal grants from FEMA, which is part of Department of Homeland Security (DHS) . The grant programs help pay for “critically needed equipment, protective gear, emergency vehicles, training and other resources needed to protect the public and emergency personnel from fire and related hazards.” Emergency vehicles are expensive, especially for the small rural fire departments. 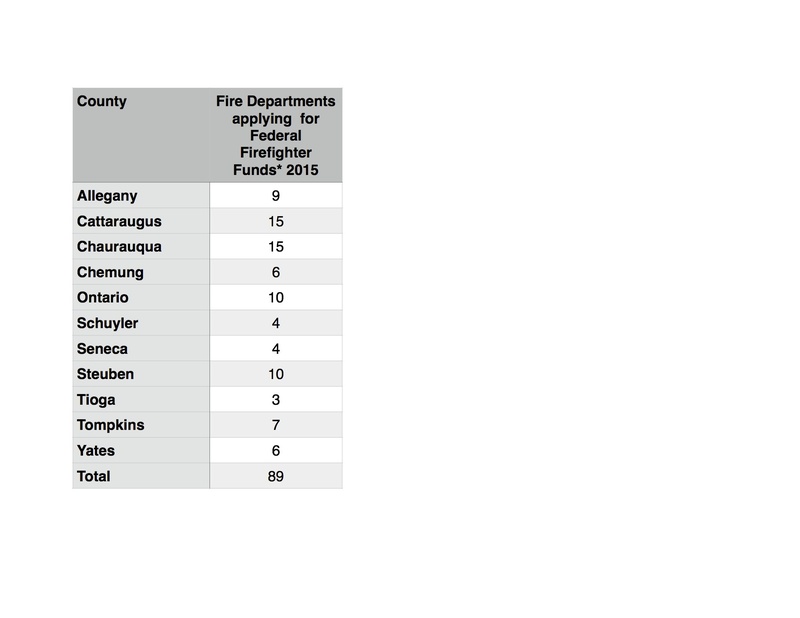 The Good News: Last year 18 fire departments in the NY 23rd Congressional District received over $2.4 million from these grants; in 2013, twenty-seven fire departments split almost $4 million. This year 89 fire departments in our Congressional District have applied for federal grants. The Bad News: The Department of Homeland Security’s budget runs out on Friday, February 27, and Congress and the President are playing another round time political stare down. The Department of Homeland Security is being funded by a Continuing Resolution (CR) which was created last December congress passed, and the President signed the “Cromnibus” Bill. Homeland Security Secretary Jeh Johnson explained Sunday on CNN’s “State of the Union” that the CR froze the Department of Homeland Security’s budget at last years level. It also means that the DHS can not start new initiatives or give new grants. The House of Representatives approved their version of the DHS funding in January. Rep. Tom Reed, who announced in a Press Release that “We also care about combating threats to our cybersecurity, which is a growing danger to our privacy, our businesses, and our national defense.” They cared so much for it they reduced funding for cybersecurity by roughly $39 billion from the 2014 budget. Reed also supported–and this is the deal breaker– all five amendments to the bill which prohibit funding of President Obama’s Immigration Executive Order. The Senate has been wrestling with the Department of Homeland Security funding. Their goal is to get a bill that will receive the magic 60 votes needed to secure that it is sent to President Obama. Then if the President vetoes it, he would take the blame. But the GOP is having a hard time whipping up the needed support. In a closed door meeting on Tuesday two former House members/now Senators, Sen. Cory Gardner (R-Colo.) and Sen. Shelley Moore Capito (R-W.Va.) tried to get the House to “reverse President Obama’s executive actions on immigration”. The House is not changing their minds. They want the Senate to rubber stamp their bill. If congress doesn’t vote to fund the DHS, it will have to stop all nonessential activities and furlough non-essential workers. That includes those who are administrating FEMA grant applications. Only the essential workers will be on duty, but they will NOT get paid! By the way, Congress will not working next week. It’s Presidents Week, but they WILL be paid. They’ll be back in DC on Monday, February 23…DHS’s funding runs out that Friday. Rep. Reed has traditionally been a vocal supporter of local fire departments. January 12 he supported the “Protecting Volunteer Firefighters and Emergency Responders Act“. Reed explains, “Our volunteer first responders sacrifice their time and much more to protect and care for their neighbors. We have a responsibility to protect them and their organizations from the consequences of Obamacare.” I wonder if he feels he has the responsibility to protect them from the consequences of party politics? 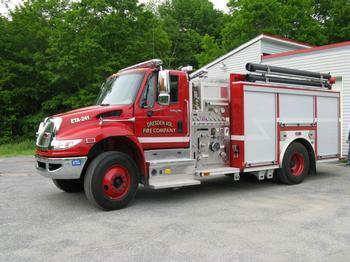 The Village of Penn Yan Fire Department has has applied for a Federal Firefighter grant. The Village’s Mayor will contact Rep. Reed’s office to express his displeasure with this whole situation. The table below shows how many fire departments in each of our district’s counties have applied for grants. You may want to contact your nearest fire department and see if they are on one of them. 8 Responses to Are Volunteer Fire Departments the new Political Football? The (Homeland Security funding) bill, passed by the House with Reed’s support, increases funding for border security and includes measures to protect cybersecurity. Amendments passed to the final bill also prohibit funding for President Obama’s unconstitutional Executive Order in immigration. If President Obama’s executive orders were really unconstitutional, no bill prohibiting funding would be necessary. Tom never explains why he calls these executive orders unconstitutional. Nor in bragging about protecting against cyber threats, does Tom note that he voted to cut funding. The people who will suffer the most are those who need assistance from volunteer fire departments and will not receive it because the government continues to mandate with no funding. Volunteer ambulance services are nearly dead and buried in this country; fire service will soon follow. Departments receive no incentives, little help from local governments, and community members care only that their needs are served if necessary. Keep it up politicians and the country will burn. FEMA records 71% of fire personnel are volunteers. Paid staff cannot possibly pick up the loss of volunteers. Just ask them. It has been far too long that volunteer firefighters are treated like they do not matter. They put in as many or more training hours as paid staff, they must be trained at the same level, and are put in just as much danger. Get your heads out of your proverbial hynies and fund the volunteers! If the rest of congress is taking next week off, what do you want Tom to do, sit there by himself ? LOSAP has ben a controversial in Penn Yan. All I’ll say now is that I never knew a person who wanted to become a firefighter to do paper work. We have had problems much greater than then incorrect data entry, in recent years but things, believe it or not, are getting better. I made the point that Rep. Reed would not be in DC next week so if people wanted to give him a call they should use the Corning office. Some think the country is burning now. Politicians will tell you what they want you to know. “I support the Firefighters.” Then they follow what their party leader tell them. Thanks for taking your time to share your insights. Why phone his Washington DE office when he won’t be there? I am providing a service to the readers… It sounds like you don’t think we should communicate with our elected officials who are suppose to represent us. The idea of shutting down Homeland Security because the GOP doesn’t like legal actions taken by our President in unconscionable. Reed called his Executive Orders “Unconstitutional”–if that is so, why make a law against it? This is politics at it’s worst. And you don’t want people to express their opinions? Reed has demonstrated time and again that he has no clue regarding the Constitution. He should stick with what he knows best. Supporting laws handed to him by ALEC.